Unfortunately, most of this genre are not particularly worthy or flattering of the genre. In fact, more often than not they are clearly made or written by men (edited by men, directed by men etc). I find it fascinating that since losing the divine Norah Ephron in 2012 the romantic comedy genre has practically ceased to exist. This year by my recollection there have been 3 romantic all given paltry recommendations. (Big Wedding 7%, Baggage Claim 15% and Austenland 32% all certified rotten by RW). These may be underrated movies. I haven’t seen them but even if they are 3 ‘chick flicks’ in one year is kind of baffling. Has Hollywood abandoned the attempt to appeal to women? On the other hand, I don’t know if that is necessarily a bad thing for women. Like I said, most of these movies are lame and they feature two predominent types of women- 1. Desperate, shrill, complaining, lonely woman (with usually equally obsessed mother), 2. work obsessed ice queens who stare down coworkers and snear at dates. Neither fits the description of any women that I know. Well, we all have our moments of both (thinking of myself only in that last statement 😉 ). Women deserve better. They deserve to have their feminine sensibilities and romantic natures excited without being talked down to or objectified. It can be done and it can be done well. 1. Silver Linings Playbook- warning this has a lot of profanity but it is about real people, or at least real sounding people. Jennifer Lawrence plays a woman who is depressed but not over-the-top. She wants to dance and build friendships but they are not her life. She wants love like anyone else, and had it but still hopes to have it again. She’s sarcastic without being annoying. 2. Some Kind of Wonderful- The movie I wish people watched instead of 16 Candles and The Breakfast Club. Both those movies feature cliched female characters who act according to the part they are given (spoiled rich girl, rebellious stoner, etc). In Some Kind of Wonderful you have a loyal tom boy who see’s her friend/crush get a date with the prettiest girl in town- who by the way isn’t stupid or evil like so many pretty girls in movies. A real treat. 3. 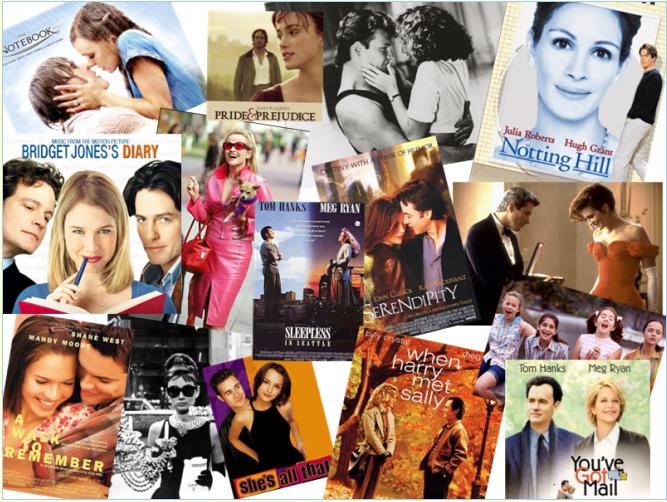 You’ve Got Mail/When Harry Met Sally/Sleepless in Seattle- Everyone knows I love Norah Ephron. Yes, her stories are charming and perhaps her men are slightly over-the-top with the romantics but not unbearably so. With Sally, Kathleen and Annie she creates 3 women (all played by Meg Ryan) who all have careers, all want love and all are witty, brave and silly at times. Sounds like some women I know. 4. Clueless- A longtime favorite of mine. Yes Cher and Dionne are ditzy and spoiled but they are also smarter than nearly everyone else around them while still making a complete mess of their lives. It is funny and romantic without being patronizing. Another movie written and directed by a woman that works so well with feminine sensibilities without crossing lines. 5. Bridget Jones Diary- This is obviously a comedy so its a bit over the top but Bridget is silly in ways that many women are. She can’t cook, doesn’t know how to dress properly, says the wrong thing at the wrong moment and doesn’t have a perfect body. She also charms the socks off of Hugh Grant and Collin Firth so that’s a bit of fantasy but it works. Bridget is never talked down to or demeaned by the script. I love her line ‘I already feel stupid most of the time. I don’t need you to remind me’. or “It is a truth universally acknowledged that when one part of your life starts going okay, another falls spectacularly to pieces.” (hint to Austen in there). That is so true! 6. Other favorites- Legally blonde (yes, she’s smart. It’s kind of like Clueless grows up), Love Actually, Nottinghill, Three Weddings and a Funeral, About a Boy, Return to Me, Just Wright, IQ, His Girl Friday, Bringing up Baby, Sweet Home Alabama etc. 1. 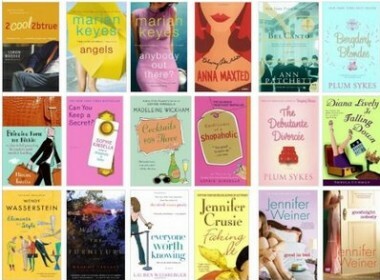 Undomestic Goddess- All Sophie Kinsella books except for maybe the last 2 shopaholic books. She is so good at taking a modern theme and then exploring it in a slightly silly character. Her women are sweet, sympathetic without being total pushovers. They are also not desperate to meet a man but hope to. The men and women in her books are basically equal but caught up in a crazy, admittedly unrealistic scenario. That’s what makes it funny. 2. Devil Wears Prada by Lauren Weisenberger- A very good movie. A great book. Biting satire into the world of high fashion and the wicked witch of the CEOs. Evidently Anna Wintour of Marie Claire was the inspiration for the boss and I have no idea what she is in real life but in the book she is a pure villain but in a funny way. Weisenberger is smart and I related to every page of her experience and that being bossed around by a woman is no better than being bossed around by a man. 3. Jane Austen- I don’t know how you could have such a list without talking about Austen. I’ve often wondered how she manages to stay relevant in 2013 maybe even more so than 1813. I think what makes Austen’s writing work is that she always has one woman that is smarter than everyone else. Whether it is Lizzy, Eleanor, Anne, Emma or Fanny, they all believe they know what’s best for everyone else. The thing is they don’t know their own hearts and that is an extremely romantic notion. Women can be smart in life, blind in love without being sophomoric about it. If women feel patronized too it will not matter the quality of the writing. That was true in 1813, true now. We want to believe that we are 90% there and through one big life lesson we will get all the way to perfection. 5. This one is a cheat because there are too many to list- Jane Eyre, Rebecca, No 1 Ladies Detective Agency, The Help, Secret Life of Bee’s, Gift from the Sea, EM Forster, My Life in France, Summer at Tiffany’s, Gilead, To Kill a Mockingbird (yes, I can count it). Susan Elizabeth Phillips books, Judy Blume, Little Women, Secret Garden, Georgette Heyer etc. I’m not an expert on the biological reasons of why men tend to like one thing and women another, but I know what I like. I like stories whether in book, play, music or film, that give me a female character with layers. Someone that isn’t a block character I’ve seen a thousand times before. Maybe she surprises me or make me laugh, maybe she’s more tender and heartbroken than expected. I also like to see these characters happy and all human beings desire to be loved for who they are. That’s what makes a good story, chick lit or not. What are some of your favorites and why do you think women are drawn to certain books (or is that a misnomer)?